If anyone wants an example of how a wine producing nation can completely reinvent itself, they should look to Spain. Once renowned for Rioja, Sherry and indeed, little else, Spain now boasts a plethora of fashionable regions and modern wineries, sustained by continuing investment from both local entrepreneurs and global visionaries. Moreover, massive investment in regions such as Galicia has spearheaded a revolution in the way oenologists approach white wines; Spain is no longer simply the country of study, robust reds. Indeed, thirty-five years ago Spain had little clout and little reputation in the white wine world. However, the past 15 years have seen an explosion of interest in Spain’s now varied and exciting white wine styles, with restaurants globally relishing the opportunity to list racy Albarinos from Galicia and aromatic, fresh Verdejo from Rueda. Hand in hand with this viticultural shakeup has come a major renaissance in Spanish attitudes to wine tourism. 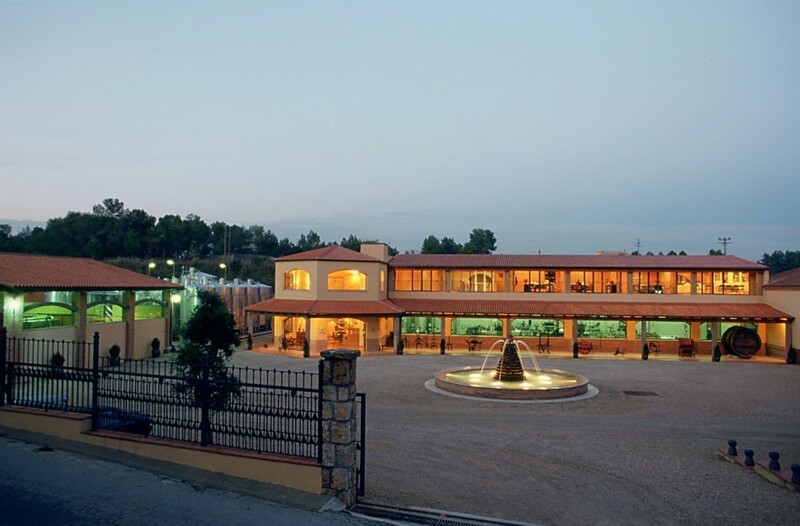 Today, modern tasting rooms and luxury accommodation typically underpins any visit to a leading Spanish region, while top Spanish chefs continue to win awards – the legendary El Celler de Can Roca in Girona, Catalonia has been awarded the lofty title of “Best Restaurant in the World” twice by Restaurant Magazine. Cellar Tours would be happy to arrange a visit to any of the properties listed; all visits need to be booked in advance and have an associated cost. As luxury wine estates, the properties specialize in only welcoming exclusive small groups, guaranteeing our clients a very bespoke and memorable visit. What this all adds up to is an unparalleled experience for lovers of fine food and drink, as Spanish wineries are now more than qualified to receive even the most discerning of visitors. The only problem is knowing where to start – in that spirit, Cellar Tours has done all the hard work for you and selected only the very best properties to visit in 2018. Monday to Saturdays: 09.30 to 18 h. June and July only from 09.30 to 15.00 h.
Bank holidays and Christmas time consult website. Lauren Rosillo, the winemaker at the justly celebrated Finca Valpiedra estate in Rioja, is today recognized as one of Spain’s finest minds, as she continues to craft refined, elegant examples of modern Rioja from a very special terroir at the heart of the region. So it’s hardly surprising that Finca Valpiedra is now a proud member of Spain’s Grandes Pagos de Espana group, a private association that boasts a membership of 27 wineries, united in their mission to promote Spain’s terroir-driven, single- estate wines. Yet this modern winery, complete with tasting rooms with views to die for, is owned by one of the regions’ oldest winemaking families – Martinez Bujanda. Originally established in 1889 by patriarch Joaquin Martinez-Bujanda, Finca Valpiedra was subsequently opened in 1999 by his great-grandchildren, Carlos and Pilar. They are very much the modern face of the region; with their awesome energy, passion, and drive, they continue to bring international acclaim to Spain’s most historic vineyard. 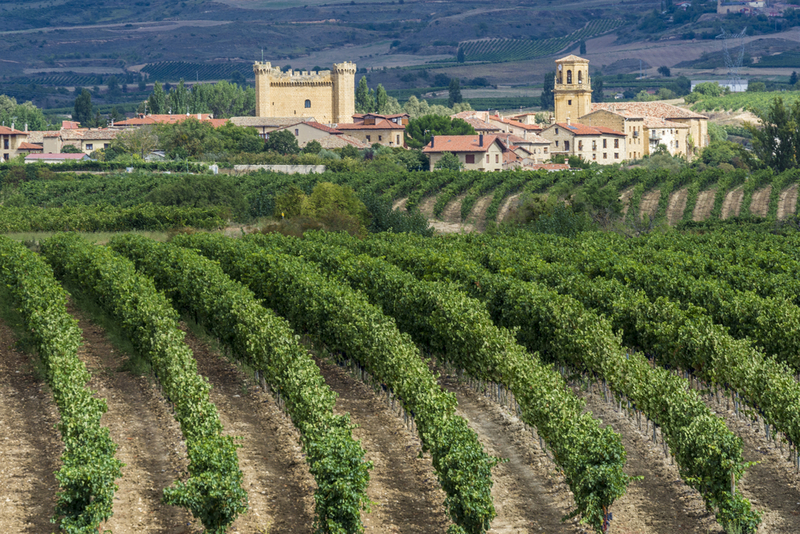 The darling of both Rioja connoisseurs and Spain’s well-heeled elite, Roda is possibly one of the best examples of modern Rioja available today. 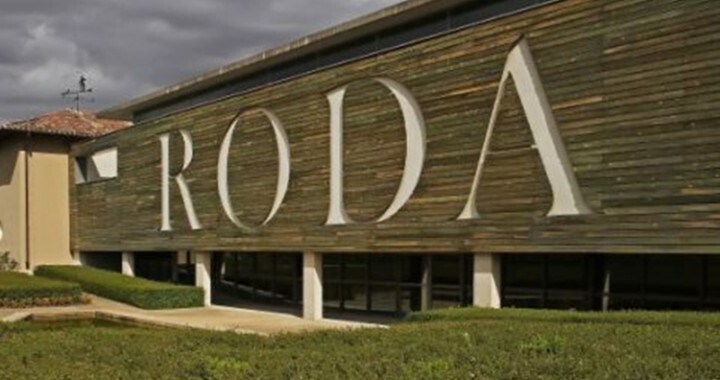 Founded in 1986 by pioneering Mallorcan Mario Rotllant, Roda is a very pretty winery situated near the railway station quarter in Haro. Their ethos has been the same from the outset: to produce only the very best reds from low yielding Tempranillo vineyards, at prices that are far from unreasonable. To that end, Roda commands a loyal following both at home and abroad, although nothing can come close to actually visiting this venerable estate and sampling their excellent wines in the presence of the estate’s charming staff. A true symbol of the modern, and very welcoming face of Rioja. It was this bodega that set the quality standards in Rioja, offering an incredibly consistent range of red and white wines that are among the best one can find in this venerable region. The winery was founded in 1890 when five vineyard-owning families formed the company. Today it is still under family control, upholding the best Riojan winemaking traditions, including aging the Reserva and Gran Reserva wines for considerable periods of time before release. However, La Rioja Alta is no anachronism and has kept up with modern practices while maintaining their absolute dedication to quality. Which is probably why their Gran Reserva 904 remains one of Rioja’s greatest traditional wines; a complex, velvety delight that is sheer heaven to taste. An essential part of any visiting oenophiles itinerary on a La Rioja Wine Tour, La Rioja Alta is not to be missed! Founded in 1972 by Alejandro Fernández and wife Esperanza, today this iconic estate requires little introduction to seasoned lovers of Spanish wines. Indeed, Pesquera caused a massive stir following its inaugural release in 1975, when Robert Parker duly rated it on par with top Bordeaux and the price soared. Today, it remains one of the most sought-after Spanish wines, with the top cuvee Janus restricted to limited allocations. Yet at the time of its inception in 1972, Ribera Del Duero was hardly known to wine lovers – the region was only awarded DO status as recently as 1982 and continues to be one of Spain’s most innovative and exciting regions. All the Pesquera wines hit the mark, however, it is the icon wine Janus that really astounds with its incredible depth, complexity, and concentration of flavor. A fitting poster-child for the potential and quality inherent to this fascinating part of Spain’s viticultural landscape. 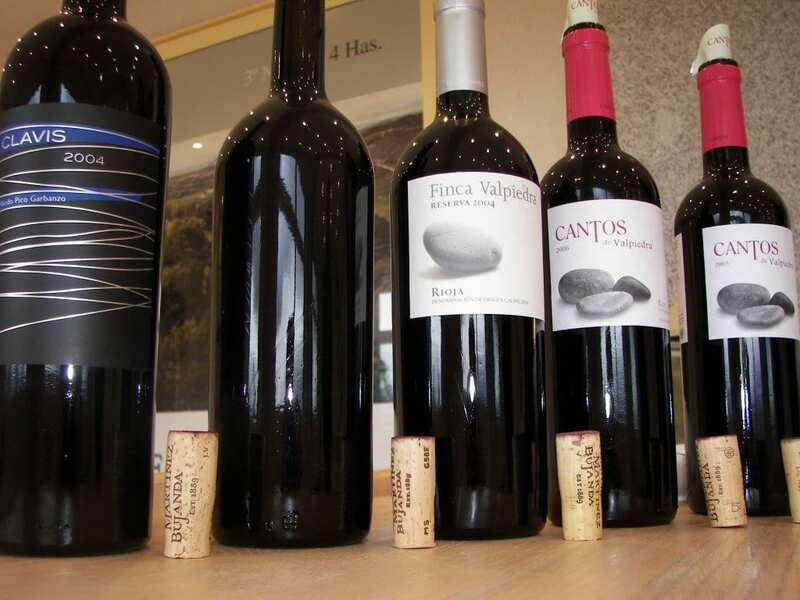 Just as Pesquera started a revolution in Ribera Del Duero winemaking, so Finca Villacreces has led the way in continuing their impressive groundwork by producing a small selection of outstanding reds. 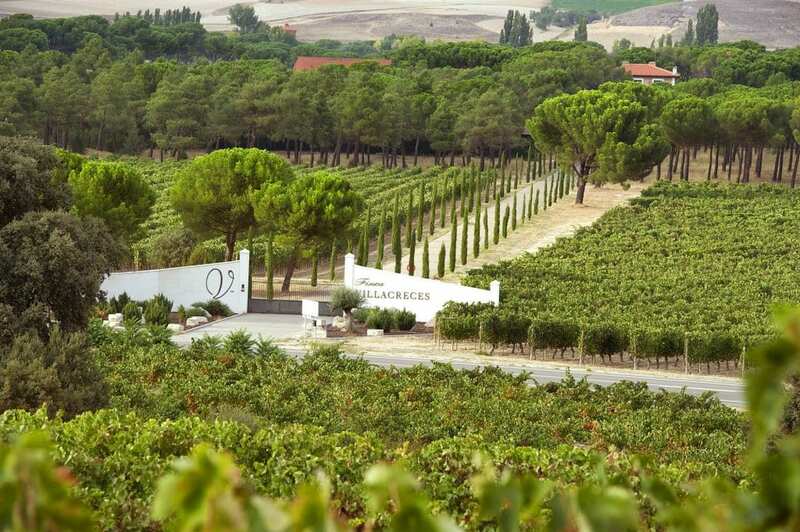 Purchased in 2003 by the owner of Bodegas Izadi, Lalo Anton, Villacreces now cultivates over 60 hectares of organically farmed vineyards at the heart of the Ribera zone. Today it is one of the most friendly and welcoming properties in Spain – boasting a stunning location, tasting room, and shop, it almost feels like you’re visiting old friends with the staff hosting so convivially. Agusti Torello continues to be one of the most respected and widely known Cava producers in Spain today. It is an impeccably run and superbly equipped boutique sparkling wine house, established in 1950 by Agusti Torello Mata from a family of tailors and musicians. Their mantra is to produce only the very best Cavas; made in a very rich and powerful style, their wines are better suited to the dinner table than the role of aperitif. However, the real talking point is their prestige cuvee Kripta, which comes in a replica Roman amphora bottle and is perhaps Spain’s most iconic sparkling wine. It invokes Krug with its power, the intensity of flavor and concentration – proof indeed, that Cava is not a poor man’s Champagne! One of our favorite wineries, Pares Balta is run by a very charming family and boasts two female winemakers – Marta Casas and Maria Jimenez – something of a rarity in Spain, even today. The property has been making wine since the late 18th century and is a delight to visit, not least because of the infectious enthusiasm of its very welcoming owners. In addition to Cava, they produce a range of excellent still wines, although we’re particularly taken with the Cava Blanca Cuisine, an extremely generous and opulent Cava that deserves to be savored over a long dinner. Which will undoubtedly be on the cards at Spain’s most convivial wine estate. Another iconic name in Cava production, Nadal boasts a long history dating back to the 16th century, when the current owner’s ancestors were making still wine at the heart of the Sant Sadurni D’Anoia region. However, its true history begins in 1941, when Ramon Nadal Giro replanted his ancient family vineyards after the ravages of phylloxera and the Spanish Civil War, initiating Cava production soon after. Today little has changed, as a tasting of rare old vintages will demonstrate; Nadal’s Cavas remain rich, creamy and profound, with real depth and generosity that reaches its apogee in the Gran Reserva. Warmly welcoming visitors, as they have always done, Nadal offers an incomparable way of acquainting yourself with a sparkling wine legend. Carles Pastrana, owner of the famous Costers del Siurana estate in Catalunya, is quite clearly one of the Godfathers of the movement to bring Priorat’s remarkable terroir to the world stage. For while his contemporaries Alvaro Palacios, René Barbier, and Daphne Glorian arrived in Priorat in the late 1980s, Pastrana was already doing important work in the 1970s and is now credited as perhaps the singularly most important pioneer in the region. His world-renowned brand, Clos de l’Obac, is legendary for its power and concentration, produced in the most idyllic of boutique wineries in the charming wine village of Gratallops. The perfect place, then, to get acquainted with these remarkable wines. Welcome to Sherry production at its finest! Situated in the heart of Jerez de la Frontera, Bodegas Rey Fernando de Castilla is named after the Spanish monarch King Fernando III of Castille. 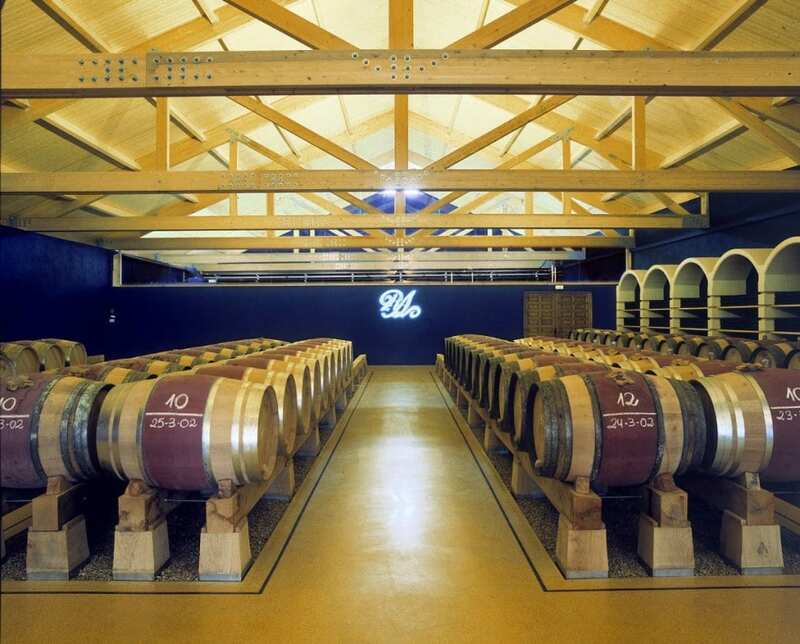 Initially renowned for their brandy, today Fernando de Castilla is justly celebrated for its delicious range of fortified wines, which rose to new heights after Jan Patterson, a Norwegian with a major passion for Sherry, bought the property in 1999. His investment, energy, and enthusiasm have paid massive dividends, adding yet another string to the bow of this charming part of Andalucia – a veritable tourist paradise. Indeed, boasting fancy shops, old mansions, beautiful churches, and numerous fiestas, Jerez de La Frontera would be a pleasure to visit, even if Sherry wasn’t on the cards. 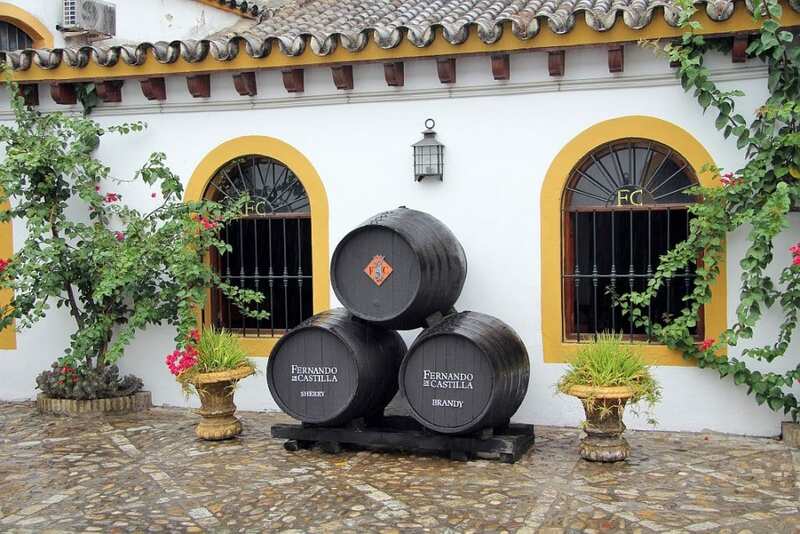 Enjoy a private VIP tasting and visit on our Andalucia Wine Tour. Mencia – Spain’s most exciting wine grape? We will visit Spain in July (2 adult, 1 child). We will start from Barcelona, is it possible to do a day trip to do wine trip to the most reputable wine producer (near Barcelona) or we should stay a nite in a town near the vineyards? Hi we are a group of 9 Would like to visit and stay 1-2nights at vineyard for friend birthday celebration on 4november Which one would u suggest ? If you would like us to customize an exclusive, luxury tour for you, get in touch with us and let us know your travel plans. We offer luxury food and wine tours for private groups of minimum 2 guests. All of our private, chauffeured tours are available year round upon request. Contact us for your personalized quote! Cellar Tours is a Luxury Travel Specialist, operating since 2003 and offering exclusive Mercedes chauffeured Gourmet Vacations in Chile, France, Italy, Ireland, Portugal, South Africa, and Spain. We specialize in luxurious custom designed vacations, events and incentives related to food and wine. We are proud members of Slow Food, UNAV (Travel Agency Association in Spain), and the IACP (International Association of Culinary Professionals).